Its Saturday morning! Happy weekend! 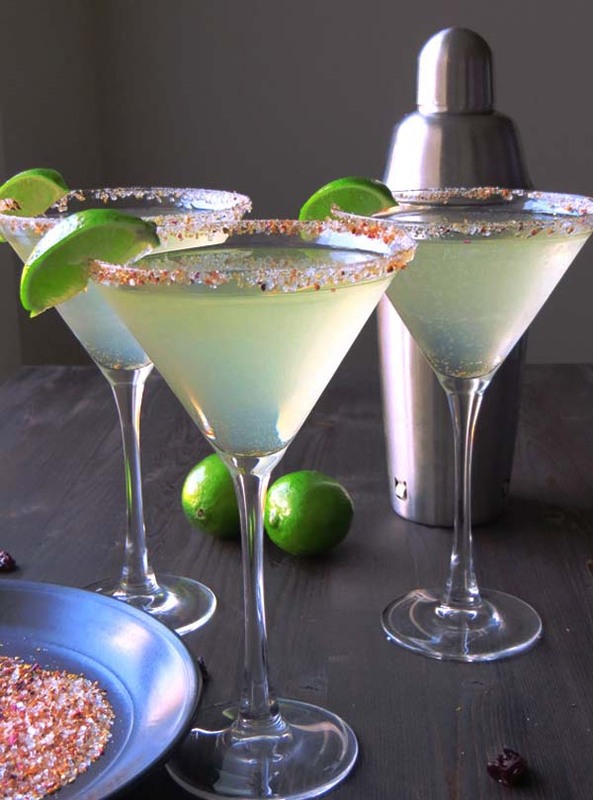 Its refreshing, sweet and citrusy, a bit martini, a little margarita, bubbly and very tasty…. 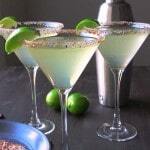 The sugar rim around the top of the glass just makes these irresistible. 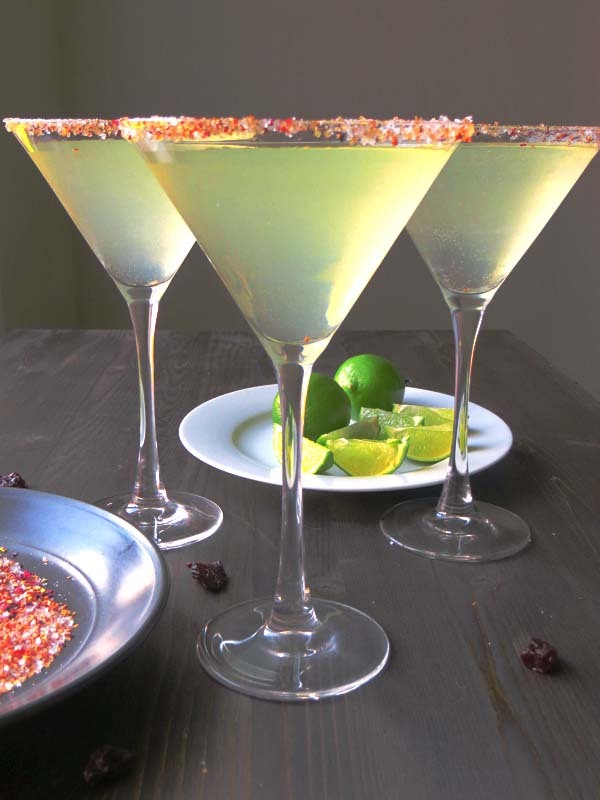 We used a Cranberry cocktail sugar for around the rim of the glasses, but you can use any sugar rim you have. They are so good they can be trouble! So drink at your own risk and always responsibly! 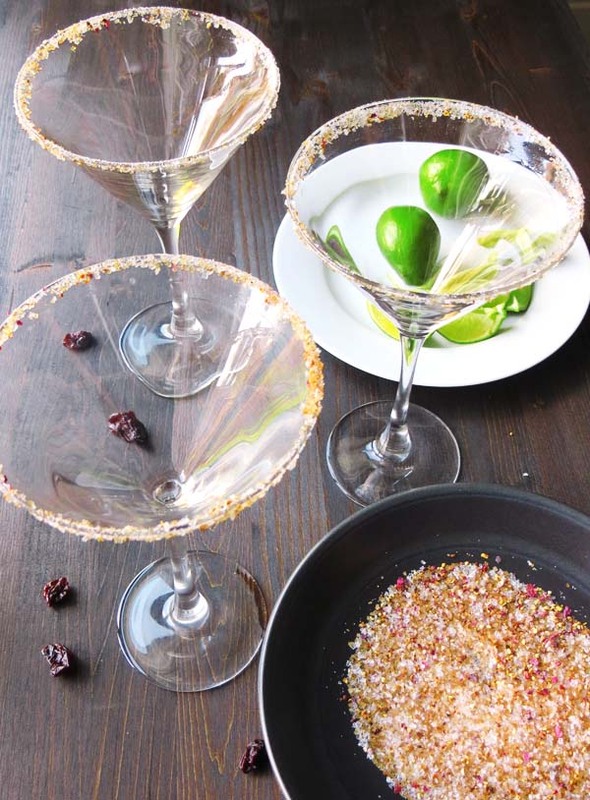 Cut a lime into wedges and run one along the edge of your martini glass and then dip the glass into the cocktail sugar so that the wet parts get covered in the sugar. In a martini shaker, measure out your vodka and margarita mix. Shake it up good and pour into your glass. Pour in the soda, as much or little as you would like.